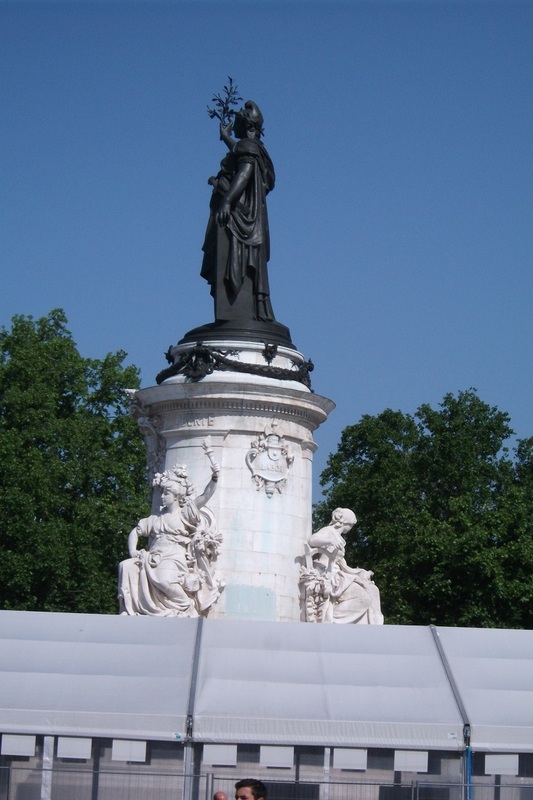 We had to travel from Paris to Stratford-upon-Avon. 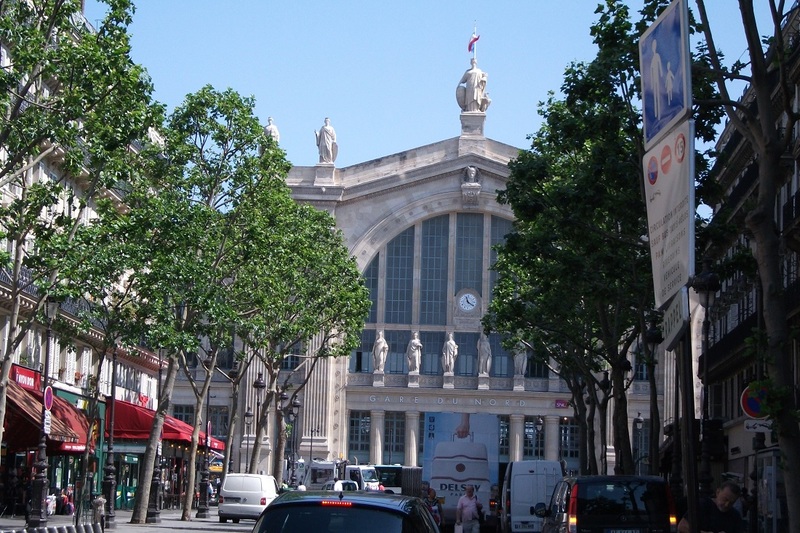 We were booked on the Eurostar train from Paris Gare du Nord to London St Pancras at lunchtime, so we had plenty of time to spend travelling from Paris Gare de Lyon to Paris Gare du Nord, a distance of about 3 miles. We decided to walk and see some of the sights whilst we were walking. 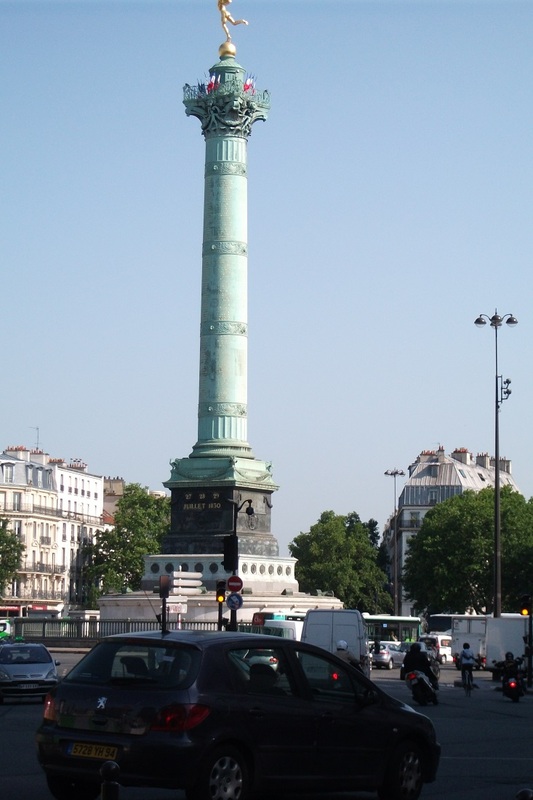 The route was fairly flat and we passed through the Place de la Bastille and La Place de la Republique before arriving at Le Gare du Nord. 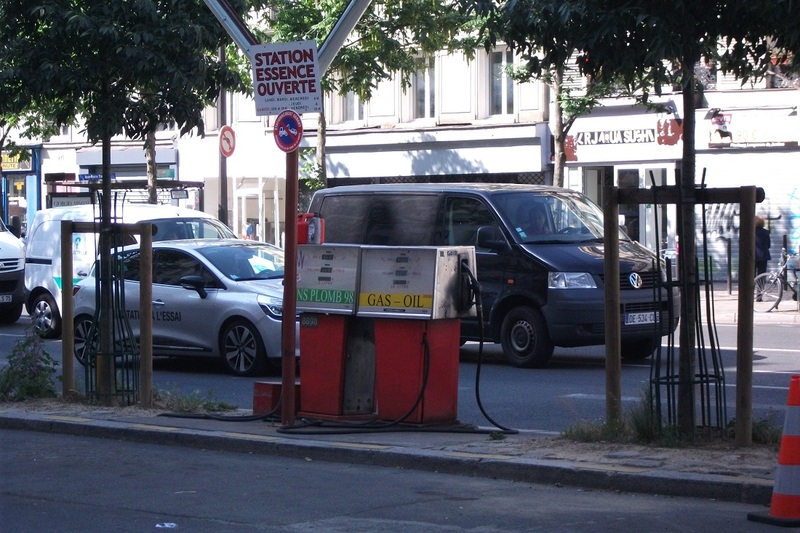 Place de la Bastille Old style very informal Petrol Station, once seen all over France and Italy but now rare. 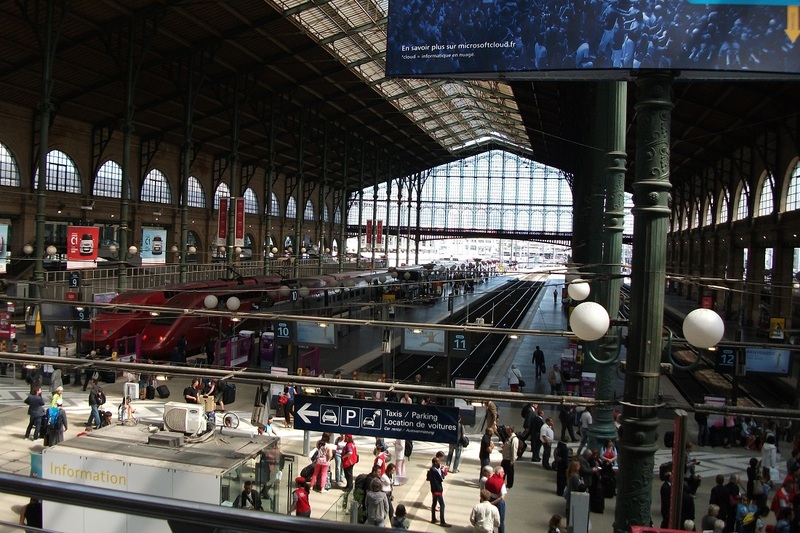 The Eurostar service to St Pancras left Paris on time and arrived in London more or less on time. The same could not be said of the Chiltern Railways service to Birmingham. A freight train derailment south of Princes Risborough sent them into panic mode and all sorts of services were cancelled or changed. We were on a service to Birmingham which was redirected via Aylesbury, back onto the Mainline at Princes Risborough and then terminated at Leamington, about 45 minutes late. We eventually reached our destination about 90 minutes later than anticipated.